Weapon Stakegun, Weapon Shotgun, Weapon Freezer, Weapon Rocket launcher, Weapon Chaingun, Weapon Driver, Weapon Electro. Ive made some brightskins for Painkiller (Booh version coming soon). 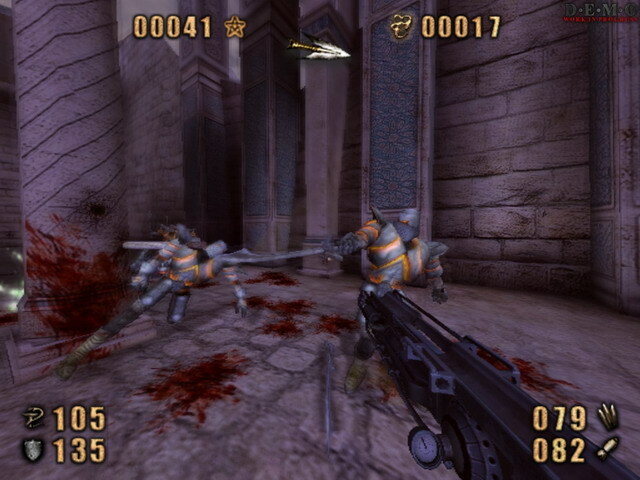 Colors are based on Quake 4 game. The new textures arent affected by shadows so more brighter even in the dark because they use _add texture. You can choose between 2 items version (colored and not colored). Ammo Shell, Ammo Freezer, Ammo Stake, Ammo Rocket, Ammo Shuriken, Ammo Electro, Megapack.